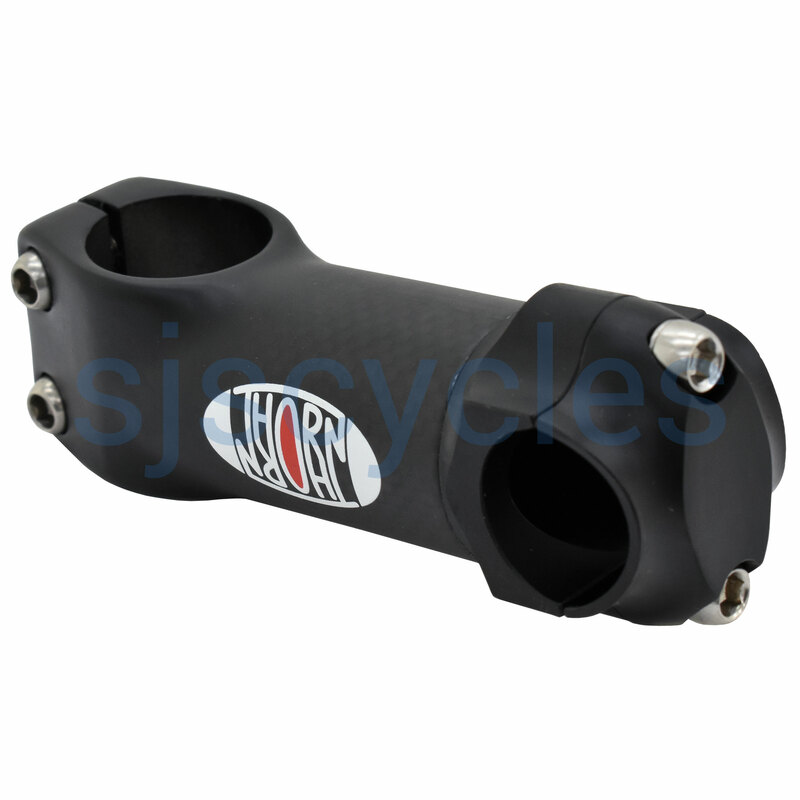 High quality 2 bolt carbon stem with alloy head, 25.4mm bar diameter, for road use. Not suitable for mountain bikes. I bought this to go with the Thorn narrow 25.4mm flat bars on my touring bike. Nice to find a quality carbon component at this size. Feels good in the hand and is quite light, but not spectacularly stiff in use. Hi, Can You Tell Me The Weight Of The 90 Mm Carbon Road Stem Please? The 90mm length of this stem weighs in at 160 grams on our scales.